NEW DELHI: The Pakistan High Commission in New Delhi has issued visas to more than 220 Hindu pilgrims from India to participate in the 310th birthday celebrations of Shiv Avtari Satguru Sant Shadaram Sahib, at Sukkur, from December 5 to December 16, 2018. Sukkur, which is on the western bank of the Indus River across from the historic city of Rohri, is the third largest city in Sindh after Karachi and Hyderabad. 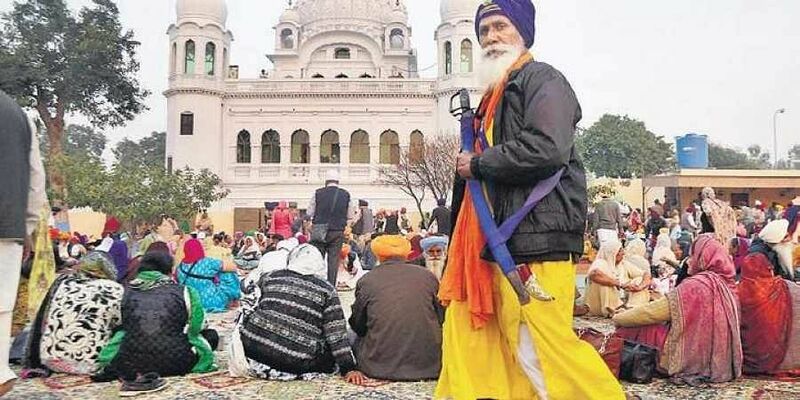 The move comes close on the heels of more than 3,800 Sikh pilgrims being given visas to visit Sikh shrines in Pakistan to mark the 549th birth anniversary celebrations of Guru Nanak Dev, and the ground-breaking for the "Kartarpur Corridor" on the Pakistan side of the international border by Prime Minister Imran Khan and some Indian politicians. The 300-year-old Shadani Darbar Tirth temple is a sacred place for Hindus from across the world. The foundation of Shadani Darbar was laid at Hayat Pitafi Tehsil, Mirpur Mathelo, Ghotki district in 1786 by Sant Shadaram Sahib, who was born in Lahore in 1708. Under the framework of the Pakistan-India Protocol on Visits to Religious Shrines of 1974, a large number of Sikh and Hindu pilgrims from India visit Pakistan during various religious festivals and other occasions every year.